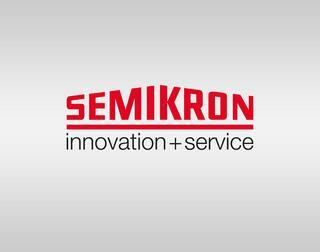 SEMIKRON strengthens its top management team. Christian Eiber, who will be responsible for the automotive business segment, will be joining SEMIKRON as of August 1st, while Karl-Heinz Gaubatz will take over as Chief Technology Officer (CTO) on December 1st of this year. Christian Eiber previously held a long-term management position at Nemak, where he was in charge of the development of the business segment Aluminium Castings, among others for electric vehicles. Karl-Heinz Gaubatz has extensive international management experience in the business segment Electrics / Electronics at the BMW Group as well as with global automotive supplier Dräxlmaier. We are delighted to welcome Christian Eiber and Karl-Heinz Gaubatz to the SEMIKRON top management team. SEMIKRON is one of the world's leading manufacturers of power modules and systems primarily in the medium output range (approx. 2 kW up to 10 MW). Our products are at the heart of modern energy efficient motor drives and industrial automation systems. Further application areas include power supplies, renewable energies (wind and solar power) and utility vehicles. SEMIKRON's innovative power electronic products enable our customers to develop smaller, more energy efficient power electronic systems. These systems in turn reduce the global energy demand. SEMIKRON is a family owned business founded in 1951, headquartered in Nuremberg, Germany. Today the company has a staff of more than 3,000 people in 25 subsidiaries world-wide. This international network with production sites in Germany, Brazil, China, France, India, Italy, Korea, Slovakia and the US ensures fast and comprehensive service for customers. By establishing the ONLINE SHOP in 2009, SEMIKRON increased its presence for customers. The SEMIKRON ONLINE SHOP offers 24-hour availability and world-wide access with multi-language sales and technical support.